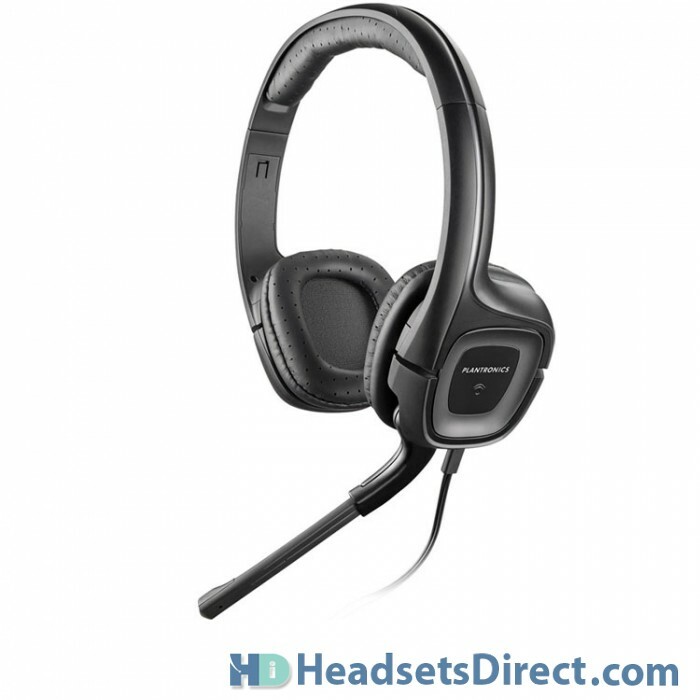 Plantronics .Audio 355 Computer Headset - Headsets Direct, Inc. When superior quality and versatility are requirements, the Plantronics .Audio 355 multimedia headset is for you. Forty-millimeter speakers deliver studio-quality audio with maximum bass response. Don’t just hear music, DVDs, and games — feel them. For Skype, Windows Live, or Yahoo Messenger Internet calling, a QuickAdjust microphone provides precise placement, and noise-canceling features ensure that Internet callers can hear you clearly. When you’re listening to music or watching DVDs, the microphone rotates discreetly out of the way. In-line controls let you adjust music volume or mute the microphone with just a touch. 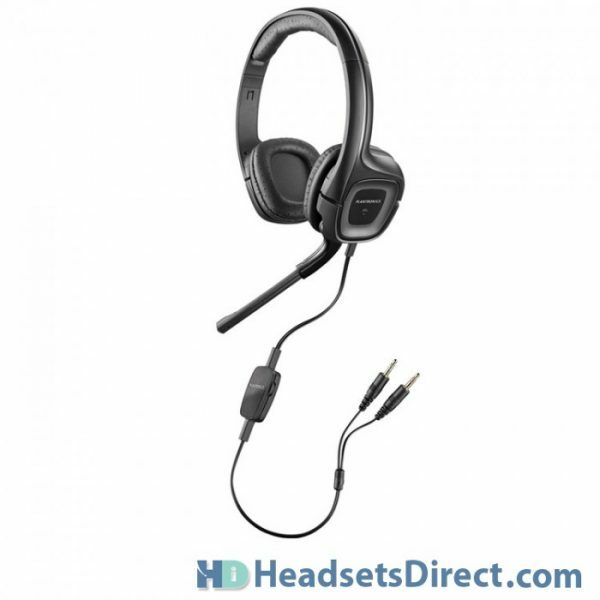 Lightweight and flexible, the headset is comfortable for hours of use.